How do you craft an effective email subject line? I’m sure that the book goes into a great deal more detail, but people who watch this video only should proceed with caution. The video suggests that piquing people’s curiosity is a good way to get them to read your emails. The example is the Obama campaign’s email, titled just “hey!” The video acknowledges that the email came from Obama himself, but doesn’t explicitly make the point that the same email heading would have been far less effective coming from almost anybody else. Writing an effective curiosity-inducing email heading is an easy two-step process. Step 1: write a vague headline, Step 2: be Barack Obama. Curiosity will only work if you have built up sufficient credibility. Without credibility, the same email will have the opposite effect. It’s not that curiosity arousing emails are not very effective, it’s just a lot trickier to create the circumstances for them to really be effective, and not counterproductive, than the video implies. I have actually found the email pitch to be one of the trickier ones to use, and to adapt to a variety of other situations. However, I have been doing some reading about headlines for writing copy, and the curiosity factor could definitely be an attraction in an email, if you practice it a bit! Something like, “How many family members can fit in a boat?” to organize a family reunion at the lake. Or “Which deli do you think will be bringing the snacks today?” to call workers to a meeting. Or “Resistance is futile” when reminding union members of an upcoming meeting (too many undertones on that one for me to go into it!). It probably takes longer than we are used to spending on an email heading, but as Mr. Pink points out, it could be pretty effective! I agree with David above. I’ve taught business writing for years and agree that, while spammers may want to roll the dice by employing curiosity, it is not advisable for working people trying to generate a higher response rate. I’d recommend the watchwords be relevance and specificity (for easy filing) and action orientation (if action is requested). 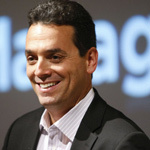 That said, I’m a big fan of Daniel Pink and his work. You both make an excellent point. Curiosity is unlikely to work in the absence of credibility on the part of the sender. That’s probably why spam itself is so ineffective. Also, the Carnegie Mellon research showed that when recipients had heavy email loads, utility was by far the more effective strategy. Curiosity, by contrast, was effective when people had lighter loads. So one has to factor in who’s *receiving* the email along with who’s sending it. I think the success of the Obama emails hinged on the TWO most important characteristics of a successful email pitch. #1 It was from a trusted sender. #2 the subject line did not just pique curiosity, it was in “his voice”. One could actually envision Barack Obama saying, “Hey!” Because he says it so often. If you have gained the trust of your audience, they are way more likely to open messages from you. Your follow-up comment strikes a chord. Considering the email recipient above all else follows the same rules as designing a website for your visitors first and foremost. It’s easy to say but very hard to keep in mind all through the development/writing process, and yet we’re all recipients and visitors ourselves, each and every day! Given how time-starved and information-overloaded most folks are these days, utility and relevance are so valuable. If you can help someone (and make it clear from the subject line that you are there to help) that person is so much more likely to welcome you in (i.e. open the mail). Great, snappy video, by the way – perfect for time-starved folk like… erm, me! Utility vs. Curiosity … I happen to be making a video about that but I call it the more ordinary ‘objective’ vs. subjective. A person who is rushed needs a more objective reason to open the mail – they are invoking a higher level of scrutiny. A person who is has more time (and as such may be looking for something personally interesting) may offer the subject line more time and come up with more reasons (cognitive dissonance) to open it. I really enjoy all the sales balloons you are popping from the bunch. Then you have grabbed several and twisted them into new shapes we like and recognize. Your growing body of work on video really hits me where I live. In my work the majority of emails are most like your President Obama style. I am the only Community Action Hero in town and Yorka is a very “Google friendly” last name. I’m not sure I buy the ‘murky middle’ argument at the end–is there data to back that up? To me, the murky middle is only bad if it’s ‘neither/nor’ in terms of utility/curiosity, but I think there’s a ‘both / and’ possibility. Finally, to Dave’s point I think referencing public work / writing of the recipient (if you don’t know them) is a great way to quickly gain credibility: people love reading about themselves. First off, I have read the book and would suggest the same to anyone trying to better understand how to move others. I don’t sell a product or service but have to be very influencial in my job and have found the information invaluable. With respect to an effective email subject line, and maybe I’m oversimplifying things a bit, I typically use action phrases like ‘Action Required’ ‘For Your Action’ ‘Revisions Needed’ etc., followed by a brief but accurate description, to be sure the reader knows the information requires their immediate attention. I will at times even included deadlines (i.e. Action Required by 7/19) to create a sense of urgency. On the flip side, I will also use ‘For Your information’ if the message doesn’t require an action or immediate attention – so the receiver can prioritize their inbox more easily. I have had pretty good luck with this approach and people appreciate the fact that I’m setting expectations. Isn’t the secret getting into the conversation in the prospect’s head? Curiosity works when you are going after the conversation the prospect is already having about your solution. And the curiosity has to be the right kind. You have to promise something of value to the prospect, meaning they have to feel that their decision will be aided by what you have written. Then they will open it. You also have to remember there is a vast difference in audiences. Obama’s messages are being sent to people who already support him — thus you can do such headlines. Frank Kern, one of the top internet marketing guys sends crazy messages to his list — but they love it. This discussion is focused around engaging someone you don’t know — that is a completely different email. Great post, take care of the hard work, you’re performing it right! I found this short sound bite a useful tool that helps writers slow down and think before they hit send. It may not be a perfect formula but it’s a formula and one I have implemented in my work readiness training program. My student’s subject lines have become more targeted, thoughtful, and functional. Take the time what’s your line! I’m one of the molecular small entrepreneurs you write about in your new book (I bought the Kindle version after it was recommended on Brain Pickings today as one of the top 13 books of 2013). You talk about elasticity of skills and you’re so right. I feel so elastic sometimes that I’m waiting for it all to snap. This week I need to get out 500 personal emails telling the story of a product I built over 4 years and launched 2 days ago online. As I was reading your book this evening in Dublin you were writing about Ambiverts and invited me to pop across to do your quiz (Yup – I’m ambi) and then I saw the vids and was drawn to this one for obvious reasons. I liked your vid and really liked the comments from everyone else. As I was reading them I decided my headline will need to have initial Utility with a soupcon of Curiosity AND my name in it as that provides the authority and willingness by people to at least open the email. Immersed in your book and enjoying it immensely. There’s a lot to like and I appreciate that you’re giving examples of micro businesses as well as women led enterprises. It’s comforting to read about attributes needed in this wonderful mad world and see that I have quite a few of them and can hone others. I’ve worked with artists, homeless organisations, rural communities and thousands of individual and communities for 30 years and even back in the 80’s I told fellow workers that we were sales and marketing people. When they turned their noses up and said ‘no way!’ I said that we have one of the hardest selling jobs in the world – our job was to help create powerful, just and celebratory places to work and live. Now there’s a sales job! Off back to your book and I’m learning a lot.